Become the ultimate brick breaker! 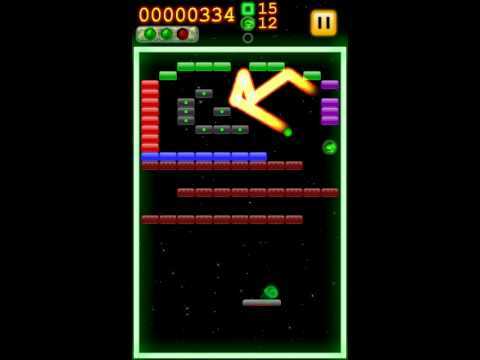 Bricknoid is a classic arcade game, much like Arkanoid or Breakout, in which you have to break the bricks with help from your paddle and ball. Are you up to the challenge of becoming the ultimate brick breaker? - Beautiful HD graphics! If you don't like some effects, like the flaming trail ball leaves behind, they can be turned off from the graphics menu. - Extreme Challenge Mode with unlimited bricks to break! - Customizable hd graphics, sound and difficulty levels! - Online leaderboards for Extreme Challenge Mode. - *new* Share your Extreme Challenge High Scores on Facebook, let your friend know you're awesome in Bricknoid the Brick Breaker! Feel free to send an e-mail to driantgames@gmail.com to ask any questions or make suggestions to make Bricknoid the Brick Breaker better. Bricknoid the Brick Breaker is a free game developed using libGDX Framework.